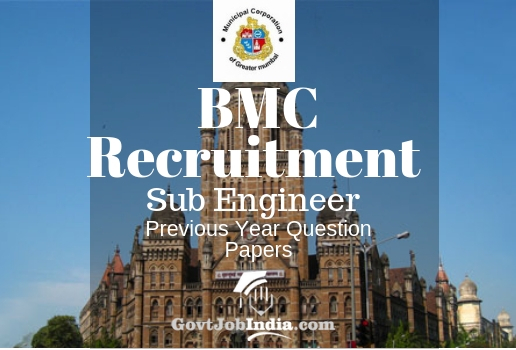 BMC Sub Engineer Previous Year Question Paper– Are you tired of looking for the MCGM Sub Engineer Model question papers with answers? We have given below a complete range of Model Question Papers to practice from for the BMC Recruitment Exam 2018-19. We have also provided all of the BMC Sub Engineer Subject wise question papers which will help you run down the road of preparation for the MCGM Recruitment Exam. Furthermore, we have attached a few of the BMC SE Mock Question papers and Revision tests which will help you ace this exam with flying colors. Also, if you want to download the MCGM Sub Engineer Past Year Question Paper PDFs then make sure to get it from the direct links given below for free. In addition, we will be adding more and more papers every day, so make sure to bookmark this page so that you can download then whenever we post more. 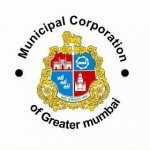 Till then, you can go to the official website which is www.mcgm.gov.in/. In case candidates have any doubts related to this recruitment, we would urge you to check the BMC Sub Engineer Recruitment Notification 2018 which will guide you better with respects to what you need to have in order to get through this MCGM Recruitment 2018. But if any of the doubts still persist in your mind, you can comment down below and we will let you know as soon as possible. So, finally, we would urge you to head over to the rest of the article, but prior to that, let us just remind you of the recruitment details of this vacancy. Have you started preparing for the MCGM Sub Engineer Recruitment Process? Since we were one of the first ones to publish our articles about the BMC recruitment, we have come out with the best papers which will help you prepare for the examination. The exam pattern according to us will be a little bit like this. If you want to see the subjects under this which you need to further prepare, then go over to our BMC Sub Engineer Syllabus page which will guide you better. Given below in order are the various papers which we could accumulate for the BMC Recruitment Exam 2019. If you want more papers, we will be adding new ones every day. So stay tuned to our website for more details related to this. Till then we would advise you to check out other pages related to the BMC Sub Engineer Vacancy. Hope you liked this article about the BMC Sub Engineer Previous Year Papers. If you did, and if this article helped you out, make sure to share it with all your friends who might be appearing for the same and we will be updating more and more question papers every day. In addition, we also post regular articles about the latest govt jobs in the country on our website which is @GovtJobIndia.com. Thanks for the post but I cannot find question papers related to Civil Engineering.